The SureKill Liquid Pro Kit allows a technician to apply liquid insecticides through a non-pressurized system that is easy to use, the company says. The automatic refilling design eliminates the need for pumping, and comes complete with 1-qt. 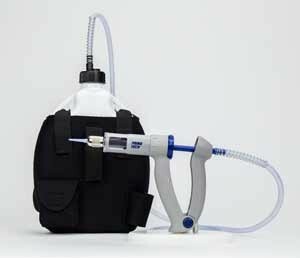 tank, deluxe holster, adjustable tips, and a durable, lightweight applicator gun. The compact design allows for discreet applications in sensitive accounts, and also provides hands-free mobility when performing proper inspections.